supported by cutting edge analysis & local insight. Get access to our vetted deals. 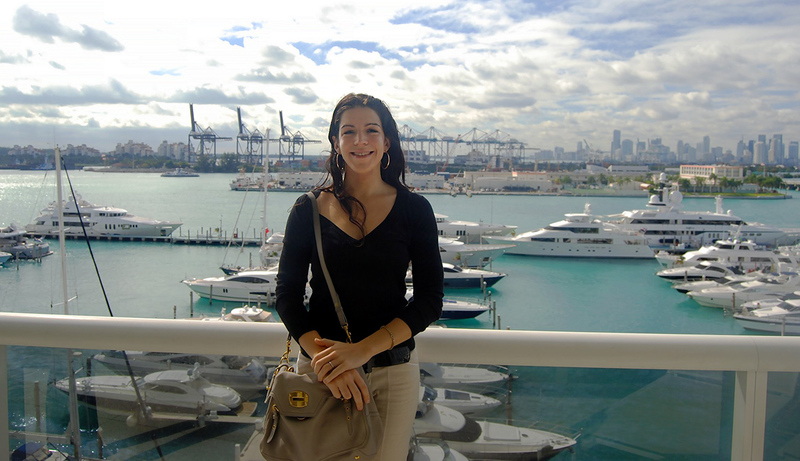 In February 2018, Ana Bozovic gave a presentation the city of Miami Beach's land use committee. 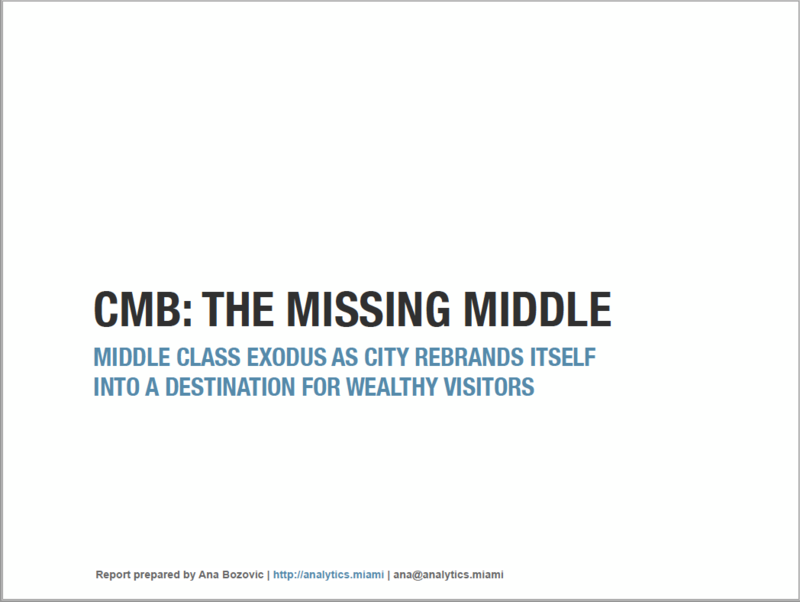 The presentation is entitled "The Missing Middle." 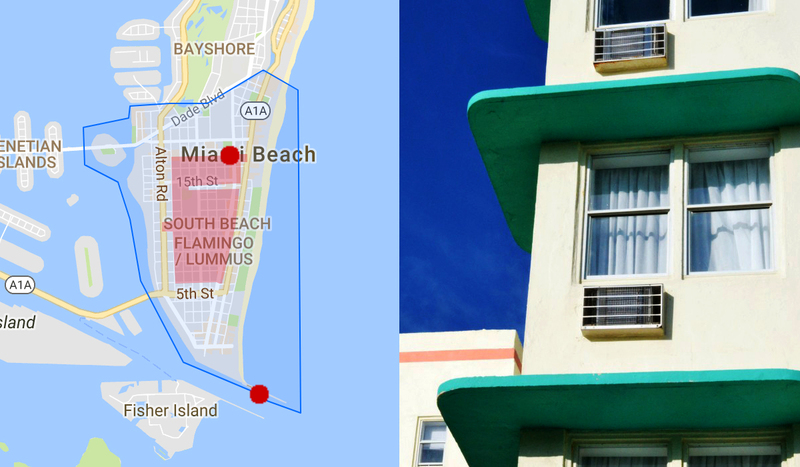 It charts long term trends in Miami Beach's population and housing stock. 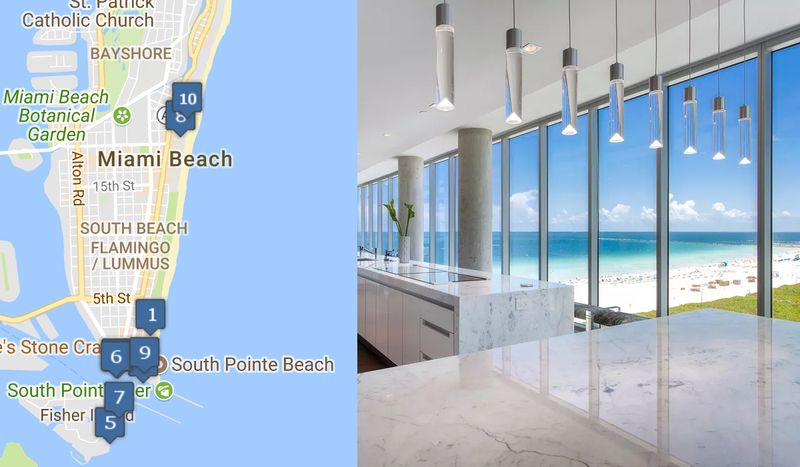 The results are clear: Miami Beach has added virtually no new housing stock for middle class residents and has a housing market increasingly dependent on outside money. 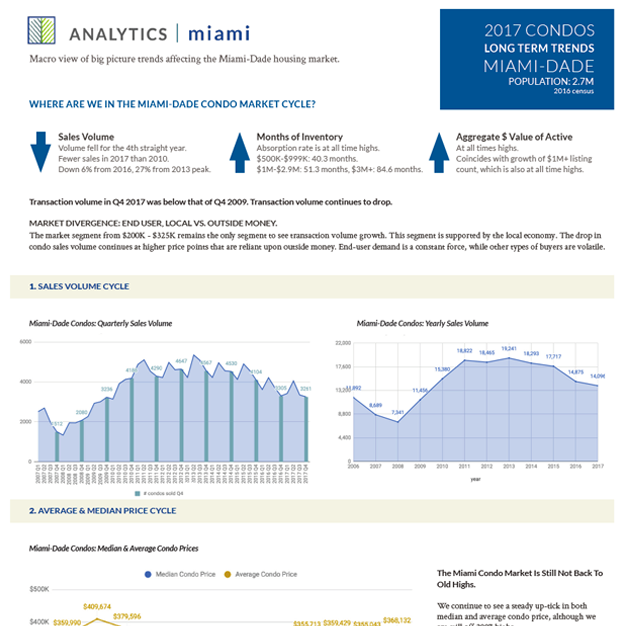 This report shows all key Miami condo market metrics, charted back to 2006. 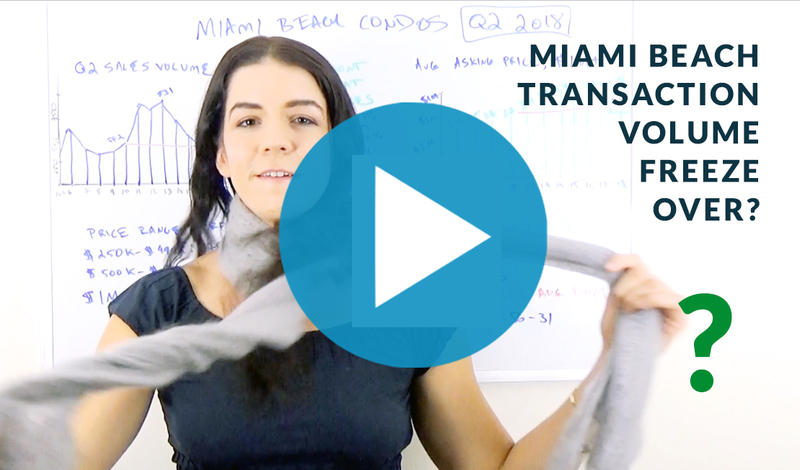 The data indicates that we are at various extremes in the condo market cycle. Also indicated is a clear bifurcation between locally supported and outside money dependent price segments. 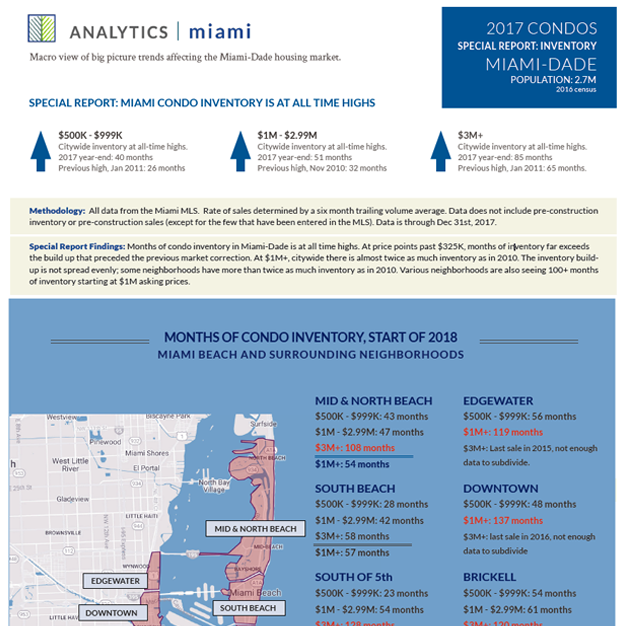 This report charts months of Miami condo inventory, going back to 2017. 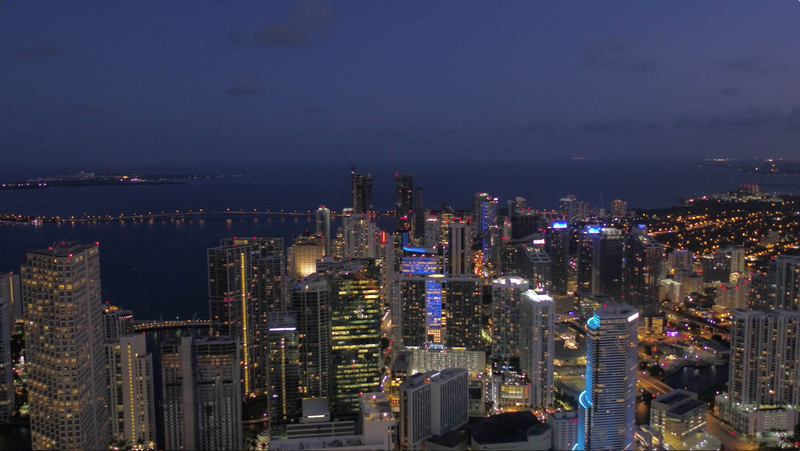 The charts show that the Miami condo market is at all-time high levels of inventory. Some prices points have almost twice as many months of inventory as during the last downturn. 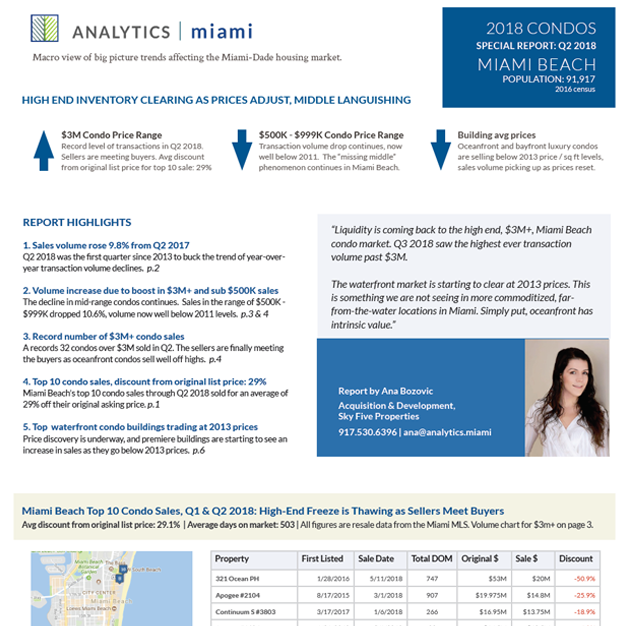 Interested in receiving our Miami real estate market reports & access to off market opportunities?